Thank you for the 20+ years of camp fun. We are sad to announce that 2017 was the last year of FONZ Nature Camp. Please check back periodically in 2018 for more information about future teen programming. 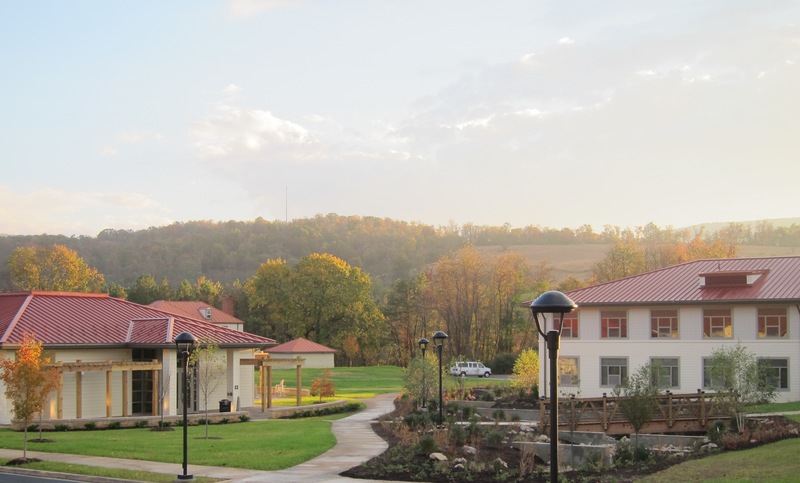 The Smithsonian Conservation Biology Institute (SCBI) is in Front Royal, Virginia, about 70 miles from Washington, D.C.
Campers will be staying in the dormitories of the Smithsonian-Mason School of Conservation (SMSC). Each room has a private bath and can accommodate up to 3 individuals. Boys and girls will be separated via 1st and 2nd floor. The maximum is 52 campers per week with a ratio of one staff member per seven campers. Meals will be served in the Smithsonian-Mason School of Conservation dining hall. Vegetarian options will be available for each meal. Parents are responsible for transportation to and from camp. Directions will be included in the email confirmation. My son just left your week 2 summer camp program this morning. He LOVED it! He thought it was so much fun. I really appreciate this program because you have staff that are doing what he wants to do when he grows up. I think him having the opportunity to learn from them at this age is phenomenal. We look forward to having him return next year. Thank you all so much!